Can I "Walk Away" from my property/mortgage? What happens if I let the lender “foreclose” on the property? Can the lender get a deficiency judgment? Do the Arizona anti-deficiency statutes apply to me? Do the anti-deficiency statutes apply to investment property? Do the anti-deficiency statutes apply to VA or FHA loans? What is the Mortgage Forgiveness Debt Relief Act of 2007 and, more importantly, does it apply to me? What is the impact on my credit of a deed-in-lieu, bankruptcy or short sale? Can I get a loan after a foreclosure, short sale or bankruptcy? As you can see, determining whethe or not you "should" Walk Away from your property requires some complex analysis and the available options are determined by your specific facts. Real estate agents/brokers may try to help you with these questions, but they don't have the answers and, even if they do, they are prohibited by law from giving you legal advice. So the simple (and obvious) answer is -- talk to a real estate lawyer. That is the only way to get the correct answers to these (and many other) questions, thereby allowing you to make an informed decision. A "short sale" is the term for a sale of real property for less than the amount of the loan(s) that presently secure the real property. For example, if a residence has a first lien of $100,000, but similar homes in that neighborhood are only selling for $80,000, then the lender (in this case, also known as the first lienholder) may consider allowing the property to be sold for $80,000. The remaining $20,000 (i.e., the difference between what the house sells for and the amount that is owed on the first lien) may be written off by the lender, or the lender may require that the seller sign a separate promissory note and/or secure the remaining $20,000 with some other real or personal property. Seller/Borrower's point of view. The seller is the borrower under the existing loan. The reason the seller/borrower would want a short sale is because the seller MUST sell for some reason (i.e., job transfer, divorce, etc.). The problem (normally) is that the subject property is presently worth less than the amount that is currently owed on the property. Typically, this is the result of a decline in the real estate market. Consequently, the only way the seller/borrower can sell the property is if the lender agrees to allow transfer of the property (which is presently the collateral for the lender's loan) without receiving full payment of the current loan balance. By doing a short sale, the seller/borrower is able to transfer the property and avoid a foreclosure. Lender's point of view. Lenders are in the business of making money. Sometimes that means making decisions that reduce the loss a lender will take on a particular transaction. If the lender agrees to a short sale, the subject property is sold to a buyer and the lender receives some amount of the current loan balance. The remaining loan balance may be written off by the lender, or the seller/borrower may agree to make separate payment arrangements for the remaining loan balance and/or to secure the remaining loan balance with other real or personal property. If the lender does not agree to a short sale, the seller/borrower may "walk away" from the property and/or the seller/borrower may stop making payments and lender may be forced to foreclose (i.e., either a judicial foreclosure or a trustee's sale) on the property. Foreclosure is time consuming and sometimes expensive. During the foreclosure process, the subject property may be neglected or damaged. When ultimately sold, the lender may end up with less than if lender had agreed to a short sale. In some situations, a lender can get a "deficiency judgment" against the seller/borrower. 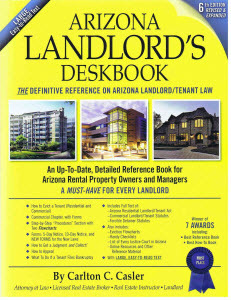 In Arizona, however, under certain circumstances (i.e., residential property, 2.5 acres or less), the lender may not be able to get a deficiency judgment. When a lender allows a short sale (i.e., the lender allows secured real property to be sold for less than the amount presently owed by the borrower on the property), then the lender may have to "write off" the shortage. This is typically true if the lender knows that a "deficiency judgment" against the seller/borrower is not possible. In that case, the lender merely "foregives" or "writes off" the shortage. For example, if the borrower owes $100,000 on a property and the lender agrees to a short sale for $80,000, then the amount of "debt foregiveness" will be $20,000 ($100,000 minus the $80,000 received on the short sale). A lender can, and typically will, report this "debt foregiveness" to the I.R.S., because "debt foregiveness" qualifies as "income" under the I.R.S. Code. Recent legislation, however, allows certain borrowers (i.e., owner occupants of residential property) to not pay income taxes on that amount, but those sellers/borrowers who are not covered by that legislation must pay federal income tax on the amount of "debt foregiveness." What is a "deficiency judgment"? If a lender forecloses on real property, either via judicial foreclosure of a mortgage or via a trustee's sale under a deed of trust, and the subject property is sold at auction for less than the amount that the owner/borrower owes on the promissory note, then the lender can go to court to get a "deficiency judgment." For example, if the owner/borrower owes $100,000 on a property but the property is sold at a trustee's sale for $80,000, then the lender can go to court to get a "deficiency judgment" against the owner/borrower for the remaining $20,000 ($100,000 minus the $80,000 received at the trustee's sale). But there are some restrictions on deficiency judgments. If the subject property is a residential dwelling of 2.5 acres or less, then the lender cannot get deficiency judgment after conducting a trustee's sale. When you borrow money to purchase real property, you sign a "promissory note" (typically just called the "Note"). The Note is the document that creates the debt. The debt is usually then secured by the real property that is the subject of the purchase. The documents used to secure the collateral (i.e., the subject real property) is a mortgage or a deed of trust. Almost all lenders currently use a deed of trust; it would be difficult to find a lender who still uses a mortgage. A mortgage must be foreclosed "judicially," which means the lender must file a lawsuit in court. The judicial foreclosure process can take three to nine months, depending on a variety of factors. A deed of trust may be foreclosed "non-judicially," which means that the lender does not have to go to court. Instead, the lender merely records a document with the county recorder and sends out some notices. Ninety days later, the lender can conduct a trustee's sale. A trustee's sale is almost always faster and cheaper for the lender than a mortgage. Moreover, if, for some reason, a lender wanted to do a judicial foreclosure, a lender with a deed of trust can elect to foreclose a deed of trust as a mortgage, but a lender holding a mortgage cannot elect to foreclosure a mortgage as a deed of trust. Consequently, almost all lenders use a deed of trust.